Yes, that’s right my beloved readers and watchers and subs, brothers and sisters of energy and light helping everyone help themselves, I have reached the peak of a summit… 300 Posts. 300 articles composed of links and vids and words that came from my head and are now in some of yours. Seems but a flash ago that it all began. I was at a beginning of series of enlightenments that have increased exponentially, coinciding with 4th durational dimension of time speeding up. Yes as the spiral tightens, my knowledge double over on itself, again and again and again, hence why I use the term exponentially. All is connected. What do you recall from what I have explained to you? Here’s the summary, once again for refreshment and/or a good start for those just waking up: What this all is, is the expression of a vibration. This vibration resonates in a harmonious frequency between all of us, and everything connected to this 3rd dimensional paradigm around us now. The Earth, planets, this whole Universe, from our perspective, is resonating on the same frequency. 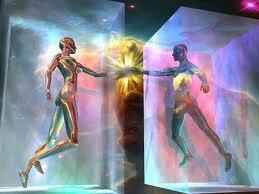 This 3rd dimensional paradigm is able to exist moving forward because of the 4th dimension, time. Time is a durational, or temporal dimension, so are you following?… we are all in this 3rd dimensional reality, which is progressing “forward” through the 4th dimension of time. 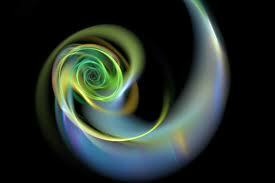 Now the dimension of time moves on a Fibonacci spiral. 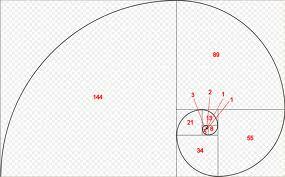 The Fibonacci spiral and/or sequence is in everything. The series beging 1, 1, 2, 3,5,8,13,21,… can you see the pattern?…each one adds itself to the number before. http://en.wikipedia.org/wiki/Fibonacci_number This begins with initial attraction of 1 and 1. That bond is from love, as the 1 and 1 seek to combine in order to create 2, and then 3, and then 5 and so on. As you can see, the spiral tightens and tightens going backward in the sequence toward zero point, only to begin all over again, infinite greatness within infinite smallness. That is what time is doing. The spiral is in the inbreath of the tzimtzum(http://en.wikipedia.org/wiki/Tzimtzum) some might say. It is a never-ending in and out, an infinite contraction. Once the inbreath gets to zero point, it goes back outward in the outbreath. 13,8,5,3,2,1,1,0….0,1,1,2,3,5,8,13… Do you see? Now clearly the sensation of that time will be felt as a quickening, which is all are experiencing, but only a fraction comprehend and/or are aware. The time is speeding up because the spiral is winding down. The resonance of the entire galaxy appears to be increasing. There are great changes underway and very soon here, the great change will find us. The acceleration will slingshot some of into the 5th dimension, ascended to a new plane of existence and consciousness, free of the restrictions of time and constraints of the 3rd dimension you are all still in now. To ascend though, you must let go of ego and the fear that the ego thrives from. This is very difficult, but returning to an ascended state of being surely isn’t easy, otherwise you would all be there already. Now when I started this blog, I was but freshly awakened, The switch had only been flicked back on just before I created this. Since that moment, i have dove headfirst into the icy waters of hidden truth. I never knew these revelations would be so dynamic, that the rabbit hole…so deep. I spent a lifetime knowing but not knowing at all. But over the last year, all has changed and it changes still, day by day, discovery by discovery, more and more and more knowledge. I just started writing and writing and writing some more…researched and researched and continue researching. Every day, something new, something I didn’t know the day before but should have. That is where I am mining the real novelty… truth. The reason truth is the only real novelty, because uncovering the truth, the real truth, is very tricky these days. All of you are bombarded daily by this and that and the other, signs pointing you this way and that way, confusing you and complicating your already frantic lives. They do this to control you. They are the illuminati. They are a fractional 1% cohort cabal of evil globalist banker pig scum. They control the world through their monetary system, but their machine has failed. We are just witnessing the beginning of the collapse but rest assured, it is coming. They want you all to keep consuming and consuming to distract you all from knowing yourselves, your True Selves and they are winning. Yes, their machine has collapsed, but their herd are only cattle and do not know that and while the flaming globalist juggernaut collapses in on itself it will try to take as many of you as it can with it. 85 to 90%… you are going with them. The other side of this shore isn’t going to be reached by the masses of asses who are only drones, fluoridated slaves to corporate masters. Oh I do love the tangents, that is where the fun is. And that is kind of what I am for all of you. I am the tangent of of the mainstream, a tangent into the unknown knowns. This info is out here for you all, but it eludes you. It is not given, so therefore you must seek and find. That is where I come in. Often, when I do find…. the info is difficult to translate into a form that you all can understand. http://www.merriam-webster.com/dictionary/translation There are groves and groves and endless meadows of trees bearing fruits of enlightenment, fruits of knowledge. You must only go pick them. You must pick them now while you can. There are more people than ever on this planet as far as we know. The weight of it all is so great, the tension so great, what and when will it all give way? And what happens when it does? I’m going to wrap up post 300 here. Thanks to all of my friends, family, readers, watchers, fellow enlighteners, the awakened. I have come so far, and each day I go further. You can all keep going up, keep going further into yourselves. The keys to all the locked doors are inside you, most of you just cannot see because you are asleep. You cannot awaken until you open your eyes and only with eyes wide open, can you see. I am your eyes, dilating, enlarging to see the big picture at last. I am the translator. My divine role is to show you a light in your dark cave so that you may use what you find in the darkness to illuminate your own path. Most of you won’t ever see, but that is the trip 85 to 90% of you are on. I’m on my own trip. I see with the same eyes as all of you, only mine have been freed of the blindness inflicted by cataracts of ignorance. Are you blind? What do you really see? Are you still in your cave? Or have you freed yourselves to venture out into the enlightenment of the Sun? The answers have always been here, you must simply remember how to see them. The great change dawns. The forces have mentioned the day of Match 22nd, 2013, 3 days from now. What will happen?…maybe nothing, maybe everything. I have no dates or specificities. I only see a puzzle being put together. If you learn to back up and see the whole picture, you can understand too. I am nothing special, I am no more or no less than you, I just have my switch flicked on. I took the red pill without hesitation. Which pill would you take? The rabbit hole can be sinisterly frightening. Fear must be left behind, along with ego. Your true power comes from soul, and your soul is made up of light and energy. You are all so powerful, but they have you all thinking backwards, that you are weak, weaker than the parasites that feed from you. You all know this, even if you have convinced yourselves otherwise. A lot coming this week, in the next few days, next week, in a few hours, maybe a few months, idk exactly when, but yes my friends, IT is coming. Remember, I am your eyes dilating, i am the one that gives you a light when it all gets dark. Do not fear them, they are only the puppeteers of shadow puppets, they will bury themselves in their own greed and arrogance. Just make sure you do not get caught in their melodrama as they fall, and yes, there WILL be melodrama, believe that. Stay strong, believe in yourselves, trust YOU, the Real YOU, the HIgher YOU, the divine YOU. Find your power and start using it. The time, your time, our time, is now. Be good to each other. Love to all.